It was another scintillating performance from Wigan Athletic, making Forest look distinctly mediocre. But a soft penalty decision in the 89th minute gave the visitors a point they did not deserve. Latics attacked Forest from the start, their high pressing and high tempo approach causing all kinds of problems for the visitors’ defence. They were quite superb in the first half, the 2-1 score line at the interval not reflecting their dominance. However, no team can play at full throttle for 90+ minutes. As the second half wore on the intensity and quality of Wigan’s football diminished. Forest got more and more into the game and Latics were penned in their own half for several minutes, a resolute defence keeping out a seemingly interminable series of corner kicks from the visitors. Uwe Rosler’s team in 2013-14 often played the high press. Although they could rarely keep it going for more than 30 minutes it was often enough to upset the opposition defence and go in for half time with a lead. With experienced and capable goalkeepers and defenders they were so often able to repel the opposition attackers in the second half. Paul Cook’s Latics are a younger side on a steep learning curve in the Championship. It could be said that the penalty decision robbed them of a well-deserved win, but they could have put the game out of sight from Forest if they had converted more of their chances in that first half. Sam Morsy is an inspirational captain who does so much to enable the smooth running of Cook’s machine. Morsy is a complete player, not only dogged in defence, but enterprising when he goes forward. Cook likes to give his full backs the opportunity to bomb forward and Antonee Robinson is particularly good at doing that. When Robinson goes forward it is Morsy who covers him. Until yesterday he had done that well, but this time Morsy was dispossessed leaving the left side of the defence open, resulting in Forest’s first goal. Despite his early error the captain continued to drive his team forward and was unlucky with a fine shot that hit the post. Together with the excellent Lee Evans he continued to control the midfield. Once again we were to see the fiery side of the captain late in the second half in the middle of an altercation between the two sides. Then came the penalty decision. There are those who would argue that Morsy clearly fouled Cash, others who would say that Cash dived over Morsy’s outstretched leg. But the bottom line is that Morsy was reckless in putting himself in that position. Strangely enough, without those two incidents that changed the game, Morsy would have been a candidate for “Man of the Match”. Ben Watson is now 33 and he joined Forest in February 2018 after being released by Watford. Latics’ cup final icon found himself on the bench yesterday but came on to applause after 45 minutes. Watson played for Latics from 2008 to 2015, making 107 appearances in the Premier League and the Championship. He was a fine servant for the club, with his positive and cultured approach. However, what we saw yesterday from Watson was a bit of a surprise for us. Like Morsy he was at the centre of the altercation between the two teams late in the second half, also receiving a yellow card. Mobbing of the referee is something that football continues to tolerate, an ugly side of the great game. Whether the referee was going to award Forest a penalty or not after Cash’s fall before being intimidated by Watson and his teammates was hard to tell. But the vehemence and aggression of Watson and his teammates surely tested the determination of a weak referee. It was an unsavoury way to get a penalty decision and we saw a side of Watson that I do not recall seeing during his seven years at Wigan. When James Vaughan came on to replace Will Grigg after 74 minutes it signalled a switch to long ball tactics for the home side. The service the player received was far from ideal, but as always, Vaughan gave his all, fighting for every ball. No one will fault Vaughan for effort: it is the approach that Latics tend to use when he plays as a lone centre forward that is the issue. Were Vaughan a kind of battering-ram central striker like Atdhe Nuhiu the long ball tactic might be more effective, but it is not the best way to employ him. Vaughan has been most effective for Latics whilst playing alongside or behind a central striker. It has been a tough start for Cedric Kipre, being thrust into Championship football after just one full season of league football in the SPL. If Dan Burn had been available, Cook would have been able to nurture Kipre into being his replacement when “Superman” leaves in January. Instead he has had to throw the Ivorian in at the deep end. Chey Dunkley too has had a baptism of fire in his first season in the second tier. With three less experienced players alongside him in the back four he has had additional responsibilities thrust upon him at a time when he too has been adjusting to playing in a higher division. Both were solid yesterday, reacting well under pressure and starting to show that kind of mutual understanding that is so important in a central defensive line. In April we stated our intention of republishing articles from our archives from time to time. It takes a long time for a fan site to get established and Amigos has been no exception. We are now in our third year. Our readership grew slowly in the first year, steadily in the second, but much faster in this third year. Given that we now have a wider readership we decided to occasionally republish articles from our archives, that many may not have seen. 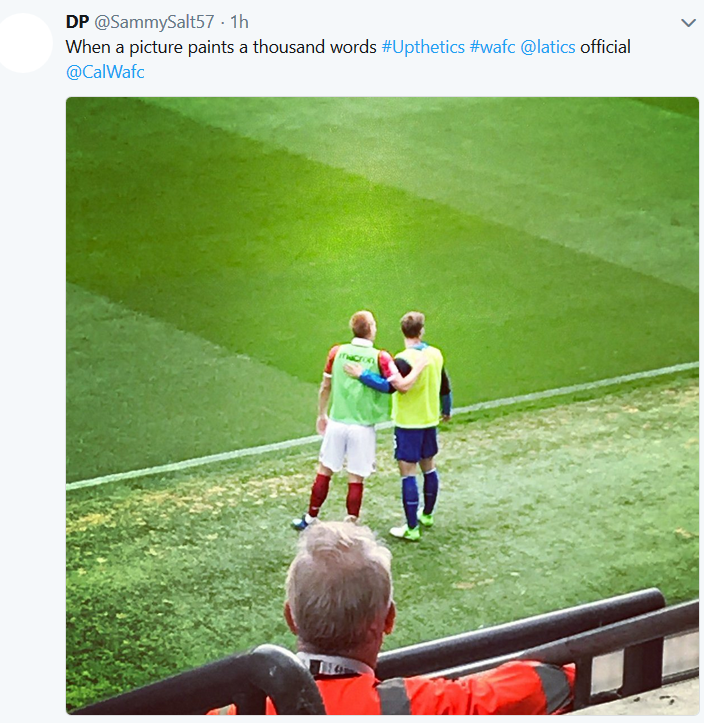 The republishing of the “Fan View”articles – perspectives of Latics players from fans of their previous clubs – went particularly well, according to the viewing stats. We now plan to look back to some of the player profiles that we have have written and published over the past couple of years. Once again we ask our long-established readers will bear with us on this. We will continue to put out our stream of current articles. Click here for our previous player profile on Jean Beausejour and Chris McCann. Let’s take a look at our articles on James McArthur and Ben Watson. The Jimmy Macs – McArthur left with McCarthy. They were the two Jimmy Macs – James McArthur and James McCarthy – in the engine room of Roberto Martinez’s midfield. It could be difficult guessing Bob’s starting lineups, but the Jimmy Macs always seemed to be there. Together with Shaun Maloney they could compete on an even keel with the likes of Gerrard, Lampard and Scholes. They were the ones who underpinned Wigan Athletic’s famous victories against giants like Arsenal, Chelsea, Liverpool, Manchester City and Manchester United. Both had started at Hamilton Academicals in the second tier of Scottish football. Both Glaswegians and both part of the Accies side that won the Scottish First Division in 2007-08. 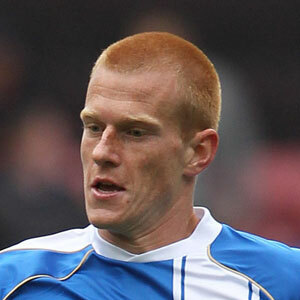 The younger Jimmy Mac – McCarthy – was first to join Latics in summer of 2009, to be followed by ‘Auld Mac’ a year later. James McCarthy made 120 appearances for Latics before he moved to Everton early this season. James McArthur has made 116 up to this point. Given his wealth of Premier League experience McArthur was expected to be a major force in the Championship division. His early performances under new manager Owen Coyle were disappointing, his partner McCarthy’s departure not helping. Some even suggested McArthur would never be the same without the younger Mac. But then again not many players reached optimum levels under Coyle’s slack regime. However, Coyle clearly recognized McArthur’s talent and leadership qualities, giving him brief captaincy duties for the first time in the absence of Emmerson Boyce. The arrival of new manager Uwe Rosler signaled a change in tactical approach. Coyle’s long ball tactics had not suited the skilful McArthur and he soon made an impact upon his new manager. He formed a formidable midfield trio with Chris McCann and Ben Watson that was to prove crucial in Latics’ revival. Sadly both McCann and Watson were to pick up long term injuries and since then McArthur has had a variety of players accompanying him in midfield. Nevertheless he has kept up his excellent form. However, Auld Mac has become more and more influential in that midfield engine room. He has become the fulcrum around whom things happen, a complete midfield player. Despite already having played 45 games this season he was full of energy and drive in an outstanding display in the draw with champions-elect Leicester City on Wednesday. McArthur was once described as a tough tackler with creative spark. But he has become much more than that. He has become the midfield general who sets the example to his teammates in terms of his commitment and dedication to the Wigan Athletic cause. He will always be remembered as being part of the team that beat Manchester City to win the FA Cup last May. He had a wonderful game as a makeshift wing back. If there is one area in which McArthur needs to improve it is in scoring more goals. However, when he does get them they tend to be good ones. That rocket shot at Huddersfield last season and the amazing chip over the Northern Ireland goalkeeper are as good as you will see. Auld Mac is not so old. In fact he is only 26 and still has not reached his peak. He has taken his game to a higher level and many would view the underrated Scot as Latics’ player of the season at this point. It is ironic that when he is showing possibly the best form of his career he is not making the first choice line-up for his country. Granted he has dropped down a division, but are the current starters for the Scotland team really better than him? James McArthur is a quality footballer with a great attitude. He can help take Wigan Athletic into the play-offs and beyond. At 26 he has still not reached his peak. Latics supporters will hope he will stay at the club for years to come. He wrote his name into history with a brilliant last-minute header that won the FA Cup. If you were in a room full of football fans from all over the world and asked them to name a Wigan Athletic player, you can guess whose name would be most likely to come up. That would be Ben Watson. At his best he can look as classy as any midfield player in England. He is a strong tackler capable of making key interceptions. He has genuine football vision and can make forty yard passes with Beckham-like precision. He can certainly score goals and is not afraid to take penalties. One recalls the away game at Stoke last season when Tony Pulis was far from happy to see the Londoner brought off the bench to take a penalty, which he duly dispatched. Watson’s peak time at Wigan was during the late rally in the 2010-11 season, when Latics produced a series of results that shocked the English football world and silenced even the most vile of their critics in the gutter press. Roberto Martinez had moved to a system with three central defenders, with Watson playing just in front of them, making up the extra man in the centre of defence when needed and playing a deep-lying midfield creator role. You could say Martinez made the most inspired substitution of his career when he brought on Watson for a tiring Jordi Gomez after 81 minutes in the FA Cup Final. The end result was that a player who had never consistently commanded a first team place at the club became its most famous-ever player. Ben Watson has his critics among Latics fans. They would say he is prone to lapses of concentration in defence, too one-paced in his play and inconsistent in his taking of set pieces. Far too often his shots on goal from free kicks have endangered supporters sitting in the back rows of the stands behind the goal. However, the 28 year old has already started in 24 league games this season beating his previous best of 23 league starts in 2010-11. Steve Bruce signed Watson from Crystal Palace in January 2009 for a fee of around £2m. He was to make 6 league starts with 2 goals under Bruce’s management. Watson could not establish himself under new manager Martinez in 2009-10, being sent off on loan to Queens Park Rangers for the first half of the season. Coming back he could still not get into the Wigan team and was loaned to West Bromwich Albion in February 2010, but was recalled early in April. By the end of the season he was to make 5 appearances, getting a goal in the 3-2 home win against Arsenal on April 19. The 2010-11 season was a mixed one for Watson, not being a regular starter until after Christmas, when he was to become a key player in that deep-lying midfield role. After signing a new three year contract in August 2011, Watson could not settle into a rhythm in the 2011-12 season and started in only 14 Premier League matches. Last season saw the Londoner make only 7 league starts, mainly down to the broken leg he received at Liverpool in the November. Watson was not to reappear until May when he played in the 3-2 away win at West Bromwich. He was soon to go on to score that all-important goal at Wembley. Watson got off to a good start in Owen Coyle’s first league match in charge. His superb shot from 30 yards opened the scoring at Barnsley on the opening day of the season, leading to a 4-0 rout. He also scored a superb goal in the Europa League match at home to Maribor, running through from his own half to connect with Jean Beausejour’s cross. Coyle played him in that deep-lying midfield creator role but also further forward in midfield. In Shaun Maloney’s absence he became the main taker of set pieces. Watson survived the ‘Coyle Revolution’ better than some of his teammates who had also been with the club in the Martinez era. Coyle certainly rated him and his set-piece deliveries were crucial to an attacking approach where Latics were looking for headers from their big men. Many of us wondered how the new manager Uwe Rosler was going to use Watson in a high tempo game plan. But from the start the German was positive about Watson and he has publicly stated his hope that the player will sign a new contract. Watson scored another good goal against Crystal Palace recently. Once again he ran in from a deep position to score an opportunist strike from James McClean’s low cross. Together with James McArthur and Chris McCann he makes up a formidable midfield trio, which has a high work rate and no mean level of skill. Roger Espinoza, Jordi Gomez and Josh McEachran will continue to challenge that trio for a place. At 28 a midfield player is often around his peak. However, with Watson one has the feeling he can get better still. Rosler clearly has plans for the player and believes he can fit into his high-tempo style. Moreover if Watson can cut out the errors he can be prone to make through lack of concentration he will be a much better player. Rosler is keen to increase fitness levels of the squad and this will help Watson both physically and mentally. Ben Watson has certainly had his ups and downs at Wigan, but has shown both patience and determination to get where he is now. He has the ability to be a top class footballer. However, given the financial constraints that Latics are now facing it is unlikely that they will be able to offer Watson the kind of contract he seeks. In the meantime Watson will continue to be a pivotal player in Wigan Athletic’s climb up the table. Wigan Athletic showed great resolve and application in overcoming an insipid Cardiff side to reach the last eight of the FA Cup. It is a remarkable achievement for a team that has played 41 matches this season, more than any other in the four divisions. Once again it was Ben Watson’s goal which was to prove the winner – this time through a rocket shot from thirty yards out. Rosler had given Leon Barnett a well-deserved rest, having played in all but one game this season. His replacement was Ivan Ramis, who was to show Cardiff that they made a mistake in not signing him during the January transfer window. Roger Espinoza and Jordi Gomez came into midfield, making a foursome with Chris McCann and Ben Watson. Callum McManaman was brought in on the left flank, with Marc-Antoine Fortune up front. Latics took the lead after 18 minutes when Jordi Gomez showed great resolve in winning the ball from Magnus Wolff Eikram and bustling his way past Kevin Theophile-Catherine on the edge of the penalty box. Gomez cut the ball back from the by-line with great precision to find Chris McCann who crisply hit the ball home. Cardiff started to claw their way back into the game and Wilfried Zaha started to look dangerous. In the 27th minute Zaha broke into the penalty box and, although Ramis managed to block the ball, Frasier Campbell was to score an opportunist equalizer from the resulting melee. Minutes later Zaha put in a lovely cross to the far post where Campbell eluded Emmerson Boyce, but put his header wide. Cardiff were soon to rue that lost opportunity in the 40th minute when Gomez tapped a free kick to Watson some 30 yards from goal. Cardiff put up a defensive wall of only two men and Watson showed his superb technique by hitting a rocket shot into the left hand corner of the net. Ex-Sevilla defender Juan Cala headed the ball against the post when it looked easier to score shortly after, but Latics went into half time with their lead intact. Cardiff came out showing more resolve in the second half, but their neater midfield play could not be converted into goals as the Wigan defence held firm. Josh McEachran replaced Watson in the midfield holding role after 58 minutes. James McClean had replaced McManaman after 67 minutes, but most of the play was in the Wigan half. Stephen Crainey came on to bolster the defence after 78 minutes as Latics continued to be penned in their area through the Cardiff pressure. However, Ali Al-Habsi was on fine form and made good saves from Zaha, Noone and Cala and Latics held on for a deserved victory. Wigan scored two well taken goals and defended with great resolution. Ramis came in for Barnett and showed an excellent understanding with Boyce in the centre of defence. With both Markus Holgersson and Thomas Rogne on the bench Latics are looking strong in that area. Al-Habsi goes from strength to strength on his return from injury and is starting to look like the star he was a couple of years ago before the shoulder problem. The midfielders worked hard, with Gomez playing a more advanced role. McCann showed once again what a good signing he has been, not only through his well taken goal, but also in his defensive cover. McManaman, and McClean after him, looked lively but were often short of support as was Fortune who looked a particularly lone central striker. Rosler has instilled a mental toughness into his squad and they are not afraid to grind out results if necessary. The defence has tightened up considerably. After putting so much energy into this match there is a home game with Barnsley coming up on Tuesday. Rosler will once again have to shuffle his pack. Ali Al Habsi: 8 – excellent throughout. James Perch: 6 – put in another solid defensive shift at right back. Ivan Ramis: 7 – a fine return by the classy Spaniard. Anticipated play expertly and excellent in his distribution. Emmerson Boyce: 7 – marshalled his defence superbly, solid throughout. Jean Beausejour: 6 – played a mainly defensive role. Left back is not his natural position, but played with determination. Ben Watson: 7 – a cracking goal and a good performance until he went off after 58 minutes. Chris McCann: 7 – a key player in Rosler’s squad. Did well to get into the box to take his goal. Went close to getting another goal in the second half when he got a foot to a long cross, forcing a good save from the keeper. Roger Espinoza: 6 – worked as hard as always and deserves more opportunities in the starting lineup. Jordi Gomez: 7 – worked hard and put through some nice passes. Showed determination in getting through physical challenges to set up the first goal. Latics’ main creative outlet. Marc-Antoine Fortune: 5 – not his day. Callum McManaman: 6 – worked hard, but could not break through. Josh McEachran: – came on after 58 minutes. Looked comfortable in the midfield holding role. James McClean: – tried hard. Had one good run when he cut in from the right to hit a rasping drive – but straight at goalkeeper Marshall. Stephen Crainey: – came on for the final 12 minutes. Injury-hit Wigan Athletic face newly promoted Reading at the DW Stadium this afternoon. Wigan are currently in 16th place with 11 points from 12 games. Although they have won only one league game all season – last week at home to Everton – Reading are in 17th place, with just two points less than Wigan. A win for the visitors would allow Reading to leapfrog over Wigan, plunging Latics into the relegation zone. The phrase “must-win game” tends to be overstated in the media, but in this case it comes pretty close to describing the importance of three points to Wigan Athletic. Ben Watson’s broken leg must have impacted on Wigan’s performance and morale last week at Liverpool. It was so unfortunate after he had waited so long for his chance to get back into the team and had regained his form. James McArthur remains injured, so David Jones will partner James McCarthy in the centre of midfield. The injury to Gary Caldwell is a blow since it is not only his playing ability that will be missed, but his organizational skills in the centre of the back three. The most obvious option is to move Emmerson Boyce across to the central three and bring in the attacking Ronnie Stam. However, reports in the media have suggested Martinez might change the shape, which would likely mean playing with a conventional back four. This would allow him to bring in a winger, such as Ryo Miyaichi – if fit. There is some doubt over the fitness of Franco Di Santo. If he does not play the obvious replacement would be Mauro Boselli, but Jordi Gomez might jump ahead of him in the pecking order. In contrast, Reading have better news regarding injuries, with forward Jimmy Kebe fit again after missing the Everton game. Old Wigan favourite, Jason Roberts, now 34, will probably start for the visitors. Reading’s win last week will certainly boost them although rumours regarding manager Brian McDermott’s position are not going to help. A failure to get a result at Wigan might well push him closer to the edge. Reading play an energetic, physical type of football and Wigan can expect the crosses to be teeming in. Ex-Watford midfield player, Jobi McAnuff, made 11 assists last season when Reading won the Championship and he has already made 4 more assists this season. Their leading goalscorer is Adam Le Fondre with 3 goals. Critics would say that there has been a need for a shake up in the Latics lineup for some weeks. Martinez has kept stubborn faith in his first choice players, many of whom have disappointed up to this point. This time he is going to be forced into making changes because of injuries. Too many times in key relegation tussles in the past Wigan have gone into the match with a cautious team selection. Let’s hope Martinez puts on a positive lineup from the start in this match. Reading have not won an away game this season, drawing 2 out of their 5. Wigan have won 1 out of 6 games at home. The logical prediction would therefore be a draw. However, football does not always work like that and it could be that a soft goal, penalty decision or red card could make the difference in this encounter. Wigan are due for a little bit of luck – maybe it will come today?